Jeffrey J. Bakker represents companies with respect to a wide array of executive compensation and employee benefit matters, including: designing and preparing deferred compensation and equity compensation plans; ensuring tax and ERISA compliance of qualified and non-qualified retirement plans (including defined contribution, defined benefit and cash balance plans); advising clients as to their fiduciary responsibilities with respect to employee benefit plans; and counseling clients on the administration of welfare benefit plans (including matters related to the employer mandate under the Affordable Care Act). His practice also includes providing assistance in the employee benefits aspects of corporate transactions and the negotiation and preparation of employment and separation agreements. Jeff is recognized as a leader in the 2010-2016 editions of Chambers USA: America’s Leading Lawyers for Business (recommended in “Labor & Employment: Benefits & Compensation”). Jeff has been included in The Legal 500 United States 2014and 2015 editorials (recommended in "Employee Benefits and Executive Compensation"), where he is described as “fantastic, responsive and has really good business sense. 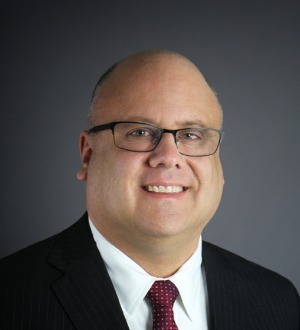 He is always at the top of his game.” He has also been selected by his peers for inclusion in the 2012-2016 editions of Illinois Super Lawyers. Jeff is a frequent speaker on compensation and benefits issues. Topics on which Jeff has spoken include employer responsibilities under the Affordable Care Act and in-plan 401(k) conversions. Before beginning his legal career in 1997, Jeff worked as an actuarial technician for four years with a major Chicago consulting firm. Jeff is a member of the National Association of Stock Plan Professionals and the American Bar Association. University of Illinois - Urbana-Champaign, J.D.